This Japanese martial arts master is really on to something. Somehow I stumbled across this poem by Aikido Master and founder of Aikido-Yuishinkai, Koretoshi Maruyama. Good things are likely to happen. Works against my best interests. My mind is never defeated. And life responds in kind. Isn’t that great? I’ve got a mind to give it to a few students and get them to memorise it. And it was such a joy to come across it, because it gave voice to ideas that I’ve been believing in (and teaching!) for many years now. I know the New Age movement cops a bit of a bad wrap. And I get that. Often the message can be sound, but the messenger is an unhinged hipster in rainbow tights with his own Instagram following. It can be hard to separate the two. And so I’ve come to these principles through a process of trial and error in my own life. Those principles became tools that I could rely on again and again. And when I shared them with students, they worked. They got results. But part of me was still wondering whether I’d actually stumbled onto some universal principles, or whether there was just some strange energetic field around me personally, and there wasn’t anything universal about it all. We’ll never know. But hearing a Japanese master, well into his 80s, express the same ideas… well, that gives me a lot of courage. Now, there’s one thing I want you to focus on in this poem – it’s the way he separates his ‘body’ from his ‘mind’. Notice that he’s not saying, Even if I suffer, I remain optimistic. Nope. Rather what he’s doing is identifying a place within himself that is separate to his body – that is aware of the weathers affecting the body, but is not touched by them. I think we can all kind of get this idea, but it’s harder to make it a lived reality. We can turn “I am hungry” into “My body is hungry” easily enough. But it’s not as easy to turn “I am in a bad mood” into “My mind is in a bad mood.” We’d never say that, though that is actually what is going on. Most of us think that our mood and emotions are a ‘response’ to outside influences. But they’re not. We can choose our attitude. 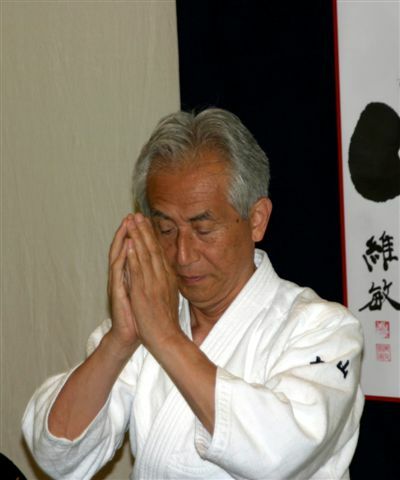 But what does Koretoshi Maruyama reckon the key to training ourselves in this way is? It is a conscious practice of gratitude. Every day. So don’t take it from me. 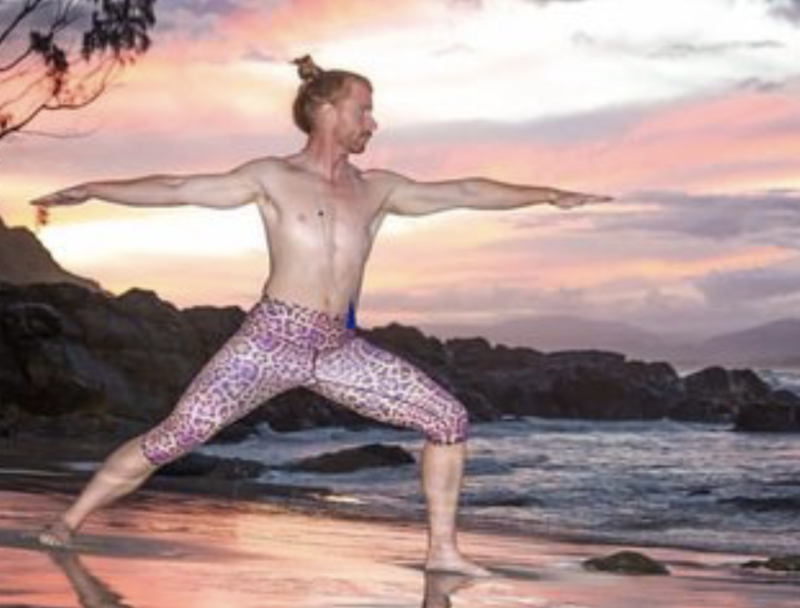 Don’t take it from your vegan yoga instructor. Take it from this Japanese master. Practice gratitude and take control of your life.